Cosmetic dental procedures, including bridges, crowns, whitening, veneers, implants, braces, or gum reshaping, are all ways to improve the look of your smile. Dental bonding involves the application of a resin to a tooth and then bonding, or hardening, the resin using a special type of light source. Bonding is a relatively easy and inexpensive cosmetic dental procedure and is used to repair chipped or cracked teeth, change the shape of teeth, or be used in place of amalgam fillings. 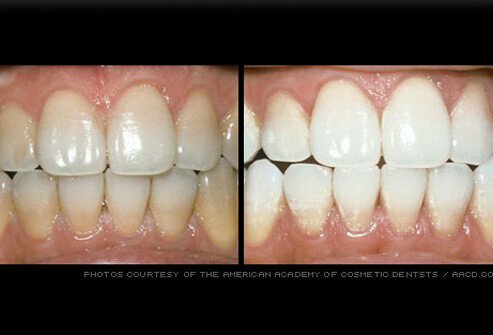 Veneers are thin shells that are applied to cover the front surfaces of teeth. 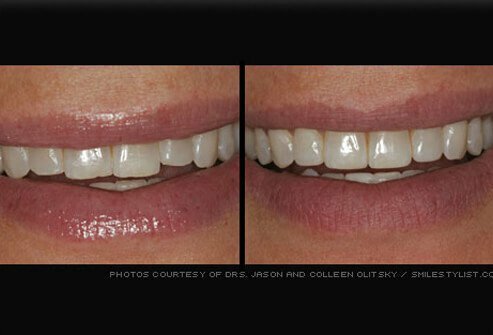 They are custom made for the individual and bonded to the teeth to change their appearance. 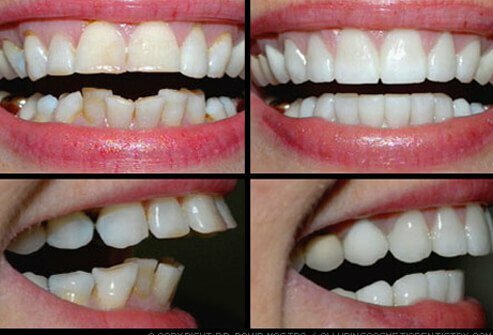 Veneers can be used to change the size, shape, color, or length of the teeth. 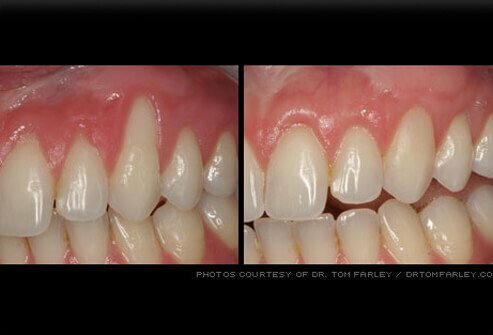 Veneers are not as drastic a change as crowns, but the process is permanent and can’t be undone. A crown is a type of cap placed over a damaged tooth. Crowns may be used to improve a tooth's strength or to change its size or appearance. Crowns can be made of metal, porcelain bonded to metal, ceramic, or resin. Before a crown is placed, the tooth to be covered is filed down. The crown is then attached to the filed down tooth with dental cement. Crowns typically completely cover a tooth, but onlays and three-quarter crowns cover less of the original tooth. 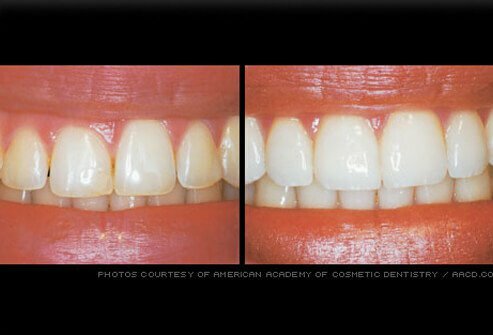 Enamel shaping is a procedure done to correct small irregularities like uneven teeth or slightly crowded teeth. It is fast and painless, and results are immediate. 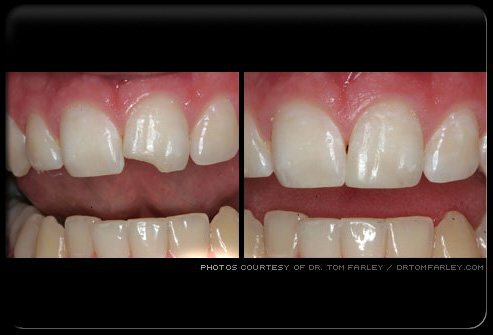 Enamel shaping can be combined with other procedures including veneers, bonding, or tooth whitening. Applying orthodontics (braces) can correct improperly aligned teeth. 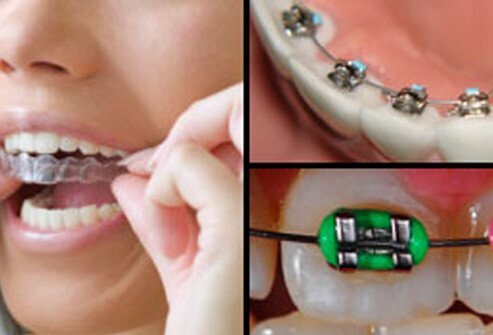 Braces can be used for adults or children and work by applying pressure over time to adjust the alignment of the teeth. The pressure also results in an altered shape of the bony sockets in which the teeth are situated. Brackets are the part of braces that are attached to the teeth. These may be clear, multi-colored, or tooth-colored. In some cases the brackets are attached to the backs of the teeth so that they are not readily seen. Clear plastic molds are used to create so-called "invisible" braces. A variety of professional treatments as well as over-the-counter products are available for tooth whitening. Whitening agents include gels, strips, and trays as well as procedures performed in a dentist's office. It works best on teeth with a yellow discoloration, but it is not appropriate for everyone. Whitening is best for people with healthy, unrestored teeth. Your dentist can determine whether whitening is a good option for you. 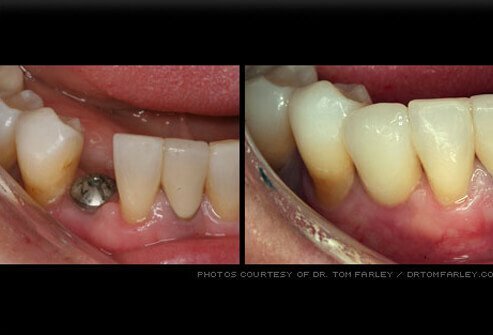 Natural, tooth-colored composite fillings are less obvious than older silver amalgam fillings. Sometimes fillings need to be replaced, and many people choose to replace their fillings with composites when it is necessary to replace older fillings. 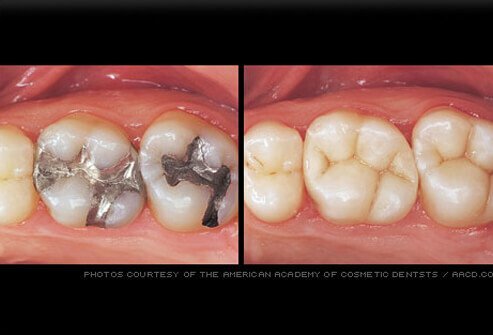 Composite fillings wear well in small cavities but tend to wear out sooner than silver fillings in large cavities. 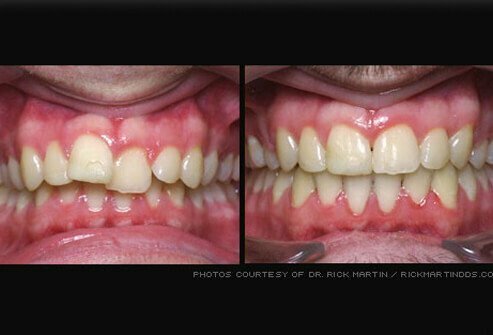 Gum reshaping can be done to improve a smile if the gum line is irregular or if the teeth appear too short. In this procedure, a small portion of the gum tissue is removed. Excess bone tissue can also be removed. 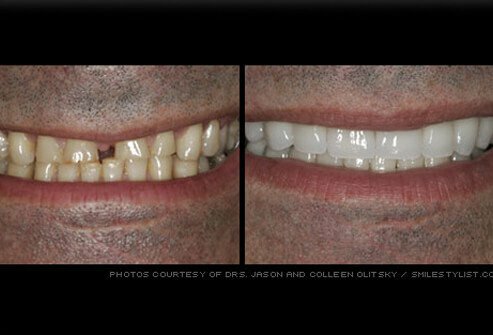 The procedure can be done on one or on multiple teeth. Dental implants are replacement tooth roots that are made of titanium. They provide a foundation for attaching permanent or removable artificial teeth in areas where a tooth loss has occurred. Tooth loss can happen as a result of gum disease, tooth decay, or injury. Dentures are removable replacements for missing teeth. Complete dentures are used to replace all the teeth, while partial dentures are used alongside some remaining natural teeth. 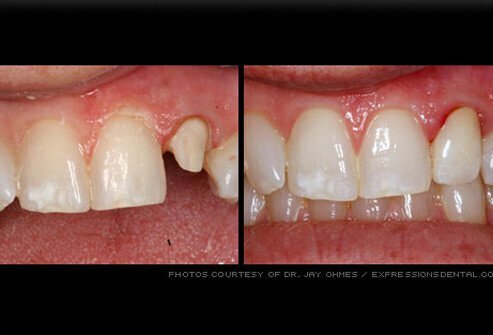 A fixed dental bridge is a permanent structure that replaces one or more teeth. 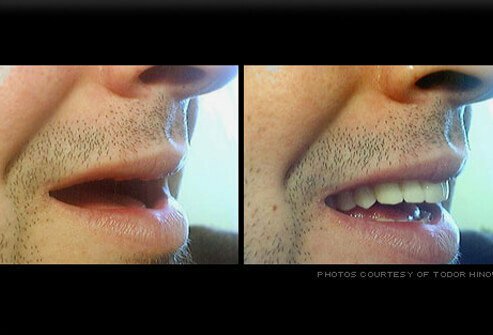 It is constructed by placing crowns on the teeth alongside a gap and attaching artificial teeth to them (the "bridge"). It is fixed in place with dental cement. A cantilever bridge is a type of bridge that is used when there are teeth on only one side of the gap. Gum recession can expose tooth roots. The exposed teeth may appear overly long and may be sensitive to hot and cold temperatures. Gum recession also increases the risk of cavities on the tooth root, which may lead to bone and tooth loss. Gum recession can be treated with grafts of healthy gum tissue moved from one part of the mouth to another. This also improves the appearance of the gum line. Cosmetic dentistry techniques are often used in combination for a complete smile makeover. 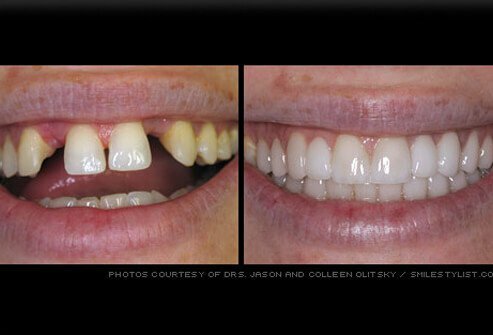 In this case, veneers and crowns have been used to correct multiple problems including chipped teeth, an uneven gum line, and tooth discoloration. Cosmetic dentistry can go a long way toward improving not only an individual's appearance, but also their oral health in general. American Dental Association: "Mouth Healthy"